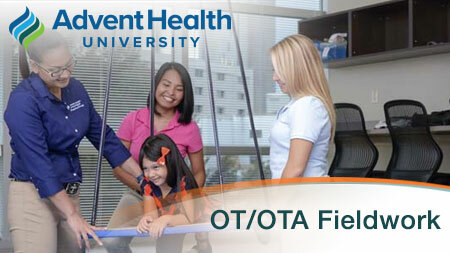 This live seminar is designed for therapists and assistants who supervise OT/OTA students or who are interested in their future. 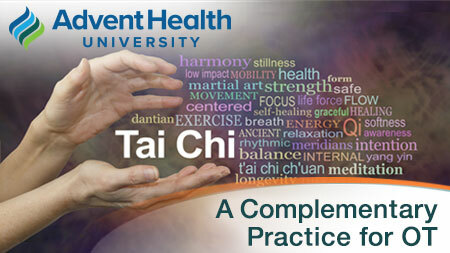 This program consists of lecture, group discussion, videos, and hands-on workshops to address the course objectives. Note: Seating is limited so please register early. AdventHealth is committed to making its activities accessible to all individuals. If you have a disability, please submit a description of your needs, along with your registration, to assure that you will be able to participate in this activity. Note: Seating is limited so please register early - 8 contact hours will be awarded upon attendance and program evaluation of this live activity: full attendance is required; no partial credit will be awarded. Last date to cancel for full refund April 12, 2019. Note: 4 contact hours will be awarded upon attendance and program evaluation of this live activity: full attendance is required; no partial credit will be awarded. Last date to cancel for full refund is April 26, 2019. CLEP exams help you receive college credit for what you already know, for a fraction of the cost of a college course. You can prepare for and take the exams on your own time, whether you're getting a head start on college or working to finish your degree. 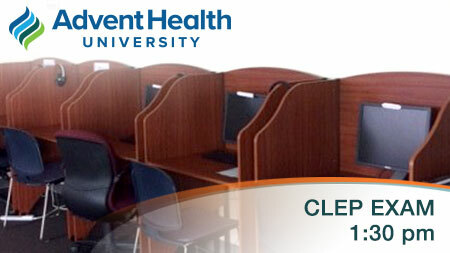 Exams offered on the campus of AdventHealth University in the Center for Academic Achievement.